TOM BARRASSO insists any thoughts about his future are on hold until after Sheffield Steelers current season comes to an end – whether that be this weekend or the next. 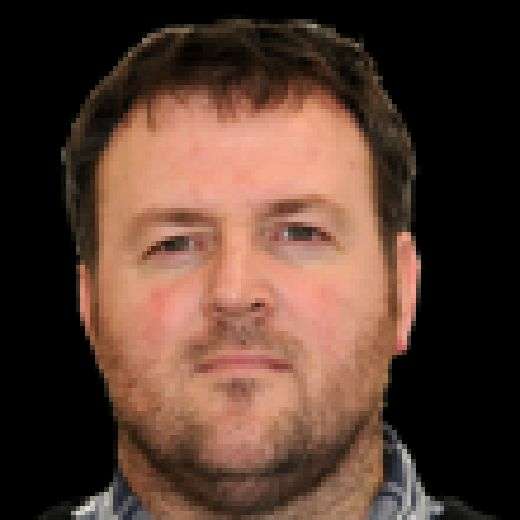 The 54-year-old American leads his team into an eagerly-anticipated Elite League first round play-off double-header against Cardiff Devils over the next two days knowing it could be his last 48 hours in charge of the team. The two-time Stanley Cup champion was brought in by owner Tony Smith at the start of October to succeed Paul Thompson, who had stepped down following a poor start to the 2018-19 campaign. It has not been plain sailing for Barrasso, however, the former Pittsburgh Penguins and Buffalo Sabres goaltender experiencing his fair share of highs and lows while overseeing a frustratingly inconsistent team. When he was first appointed, Barrasso made no secret of the fact that he wanted to return to coach in the Kontinental Hockey League at some point in the near future and it is his desire to explore all of his options in the close season – somewhere else in Europe may be equally appealing – that prompted Smith to start looking elsewhere for a new head coach to take club forward in 2019-20. The Steelers wish to begin what is likely to be another major rebuild in the summer now and Barrasso’s reluctance to commit until the time is right for him means he will not be returning to South Yorkshire. FINAL BOW: Tom Barrasso waits for his players to take to the ice at Sheffield Arena, something he will do for the last time on Saturday night in the Elite League playoff quarter-final against Cardiff Devils. Picture: Dean Woolley. But Barrasso will only consider his future once the current campaign comes to a close, hopefully, he says, after a victorious swansong in Nottingham at the traditional season-ending Final Four Weekend. When asked whether it was an unusual feeling going into a weekend which could prove to be his last behind the Steelers bench, Barrasso replied: “No, not at all. 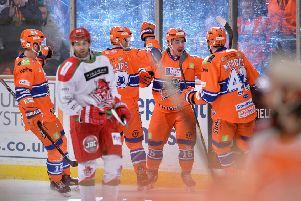 While owner Smith said last month the club were close to finding a new head coach, Barrasso said he had nothing lined up as of yet, his sole focus on bringing about a successful conclusion to the Steelers’ season. Sheffield Steelers’ head coach, Tom Barrasso. “I haven’t spoken to any of my agents in weeks,” he added. “Obviously I follow the news of what is going on around the different leagues, of the positions that are available but, at the end of the day, that is not what I do. Barrasso says he has enjoyed his time in Sheffield, a period that has shown him to be widely-admired by the club’s fans as well as his own players. “It’s been a good challenge and I’ve enjoyed it here,” he said. “Coming in mid-season to a team that was a little beaten up, didn’t really have much confidence and seemed a little bit directionless, to try and regroup that - I think my record with the group is 27-20-4 - so to get us to seven games over .500 during my tenure, I’m pretty pleased with that result. On whether he would consider a possible return to the Elite League at some point in the future, he added: “That’s hard to say, but I do know this: Sheffield is the place to be for me, personally. “I think the Smith family does an excellent job of running the organisation, the Arena here is top-notch, our practice facilities are excellent. The fans have been fantastic to me, been fantastic to our players and it is a great atmosphere to coach in. On the relationships he had built during his time in Sheffield – either with his players or those outside the locker room – Barrasso said that had been made easier knowing that everybody involved at the Steelers had the same goal. “It’s just the nature of being the coach of the team,” he explained. “Between the bonds you form with your players, putting them out there in harm’s way all the time and then with the rest of the staff and the ownership, the commitment level everybody has to trying to make things a success.